If you're ready to dive into something completely new and exciting, our Enigma Rooms are for you. Try to escape our mind-melting real-life rooms by solving hands-on puzzles and brain-bending riddles. You've only got one hour to bust out. Sound like something out of a movie? That's right - it is like a movie, starring YOU and your friends! 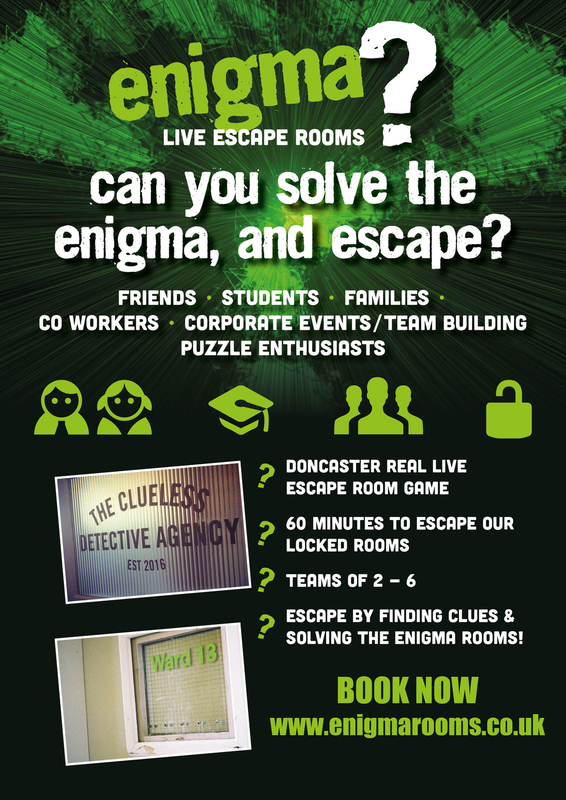 Enigma Rooms is Doncaster's first live-action escape game service. Find out if you and your group have what it takes to unravel mysteries, crack codes, and string together scattered clues to break out of your "prison" and regain your freedom! Featuring two separate themed rooms, Enigma Rooms gives you the chance to do something awesome with friends, build team morale and enjoy awe-inspiring real-life puzzles. Offering something completely different from Doncaster's typical "scene," our games "trap" you in a room where nothing is as it appears. Every object you touch and see is a clue, but are you clever enough to work out what it all means? Use the power of teamwork to dig your way out as fast as possible and you will win! Think Fast - Think Fun! 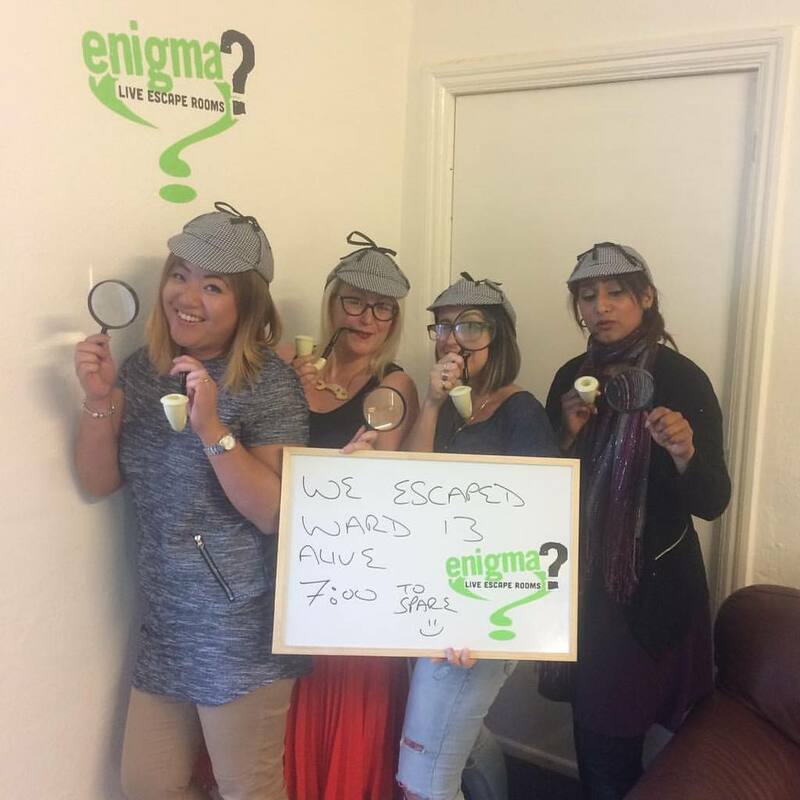 Enigma rooms affordable escape rooms in Doncaster are a unique way to increase self-esteem, build bonds, test problem-solving skills and BREAK OUT OF THE ORDINARY! The thrilling games we create are perfect for friends, family, couples, gamers, sports teams, bachelor and bachelorette parties, corporate team building and special events. Each situational game presents you with intriguing challenges and requires intense collaboration for success!